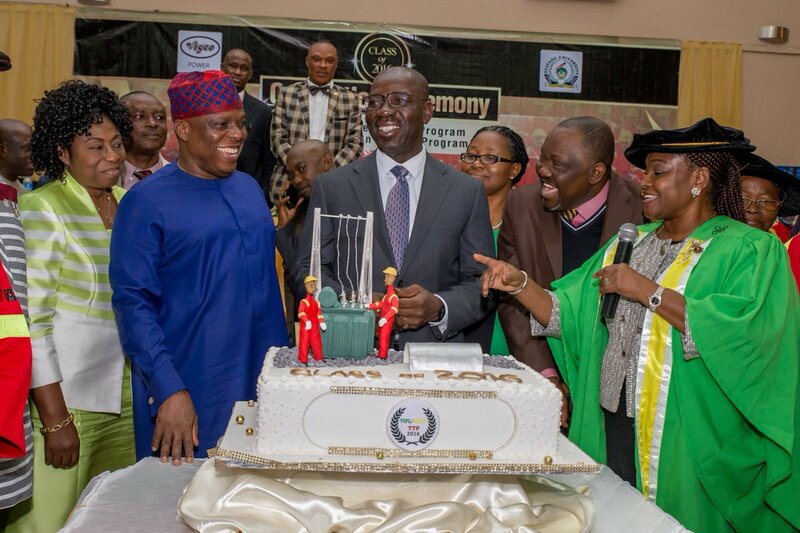 Edo and Lagos state are the only two states that enjoys the full complements of electricity structure in Nigeria, Governor Godwin Obaseki said in Benin City on Tuesday. Besides, Governor Obaseki said Edo state will, in no distant time, generate one in every power generation (20 percent) in Nigeria adding that, “We are blessed to be in the core hubs in the transmission of power in Nigeria”. In his address at the graduation ceremony of 114 staff of BEDC second Graduate Trainee Programme and the first Technician Trainee Programme in Benin City yesterday, Governor Obaseki disclosed that “We like what you (BEDC) are doing with Elizade; we’ll like you to consider expanding the programme by collaborating with the Benin Technical College (BTC). According to Governor Obaseki, “We (Edo) have two power generating plants, one in Ihovbor, while the other (AZURA) is still under construction and so, by the grace of God, we have another one coming on stream this year. “We have two transmission substations, we have an electricity distribution company. So, we can understand why this means so much to us. “Electricity as has been expressed here is key to industrialization, so, when I made a promise of creating a minimum 200,000, this is where my power was derived from,” the governor noted. Governor Obaseki who enlisted BEDC for the training of not less than 2,000 technicians within the next four years said it would complement the State Government’s creation of 200,000 jobs. Congratulating BEDC’s management initiative on human capital development and what has been put in place to grow the company, Governor Obaseki noted that “the most important investment you (BEDC) have made is investment in manpower,” adding that “it’s a right step in the right direction.